The aim of the following post is to draw attention to a recently-recognised find of a fifth- to mid-second-century BC Mediterranean ship anchor from British coastal waters. Previous posts on this site have discussed the presence of a significant quantity of Greek autonomous coinage of primarily the fourth to second centuries BC in Britain, including Carthaginian/Punic, Ptolemaic, Numidian and Indo-Greek issues. Needless to say, finds of early Mediterranean anchors off the coast of Britain would seem to add further weight to the argument that there was a degree of long-distance maritime contact between Britain and the Mediterranean during the first millennium BC and that some, at least, of the above coins may well be genuinely ancient, pre-Roman losses that were brought to Britain by Mediterranean traders. A trapezoidal lead core from a Mediterranean Type IIa wooden anchor of the fifth century BC, found in the sea at Plymouth (image: ProMare, CC BY-NC-SA 2.0). 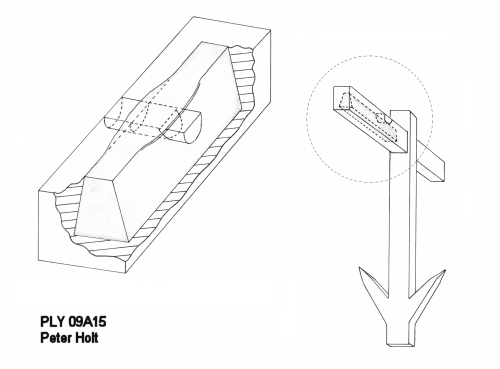 Reconstruction of how the lead anchor stock would have fitted into the original wooden anchor (image: ProMare, CC BY-NC-SA 2.0). 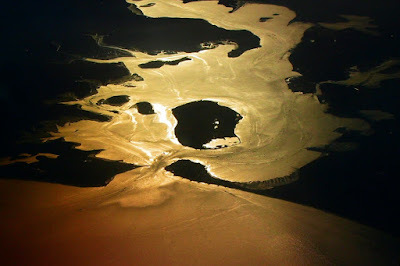 Aerial view of Poole Harbour at sunset; the two Iron Age piers/moles ran from Cleavel Point and Green Island into the South Deep on the left hand side of the photograph (image: Wikimedia Commons). 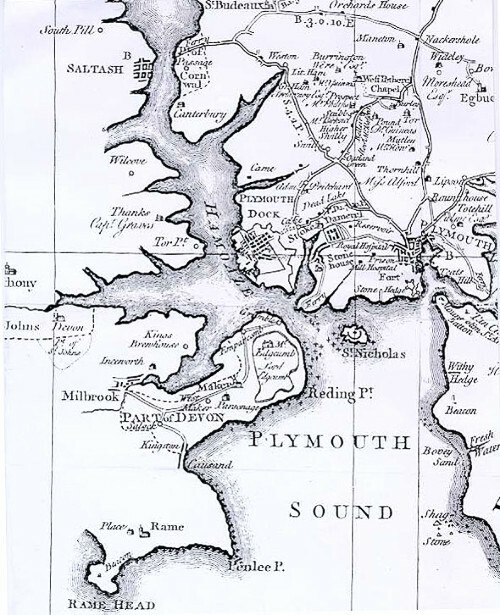 Plymouth Sound, as it appeared on Donn's map of 1765, with Rame Head at the western entrance to The Sound and Mount Batten & Bovisand Bay marked on its eastern side. 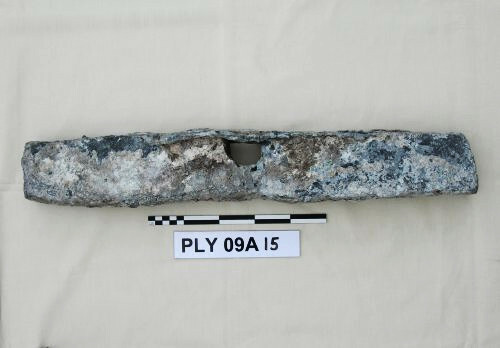 To sum up, it seems clear that the Plymouth Type IIa anchor stock core is an important find, indicative of the presence of a Punic or Greek ship of the fifth to mid-second century BC in Plymouth Sound. 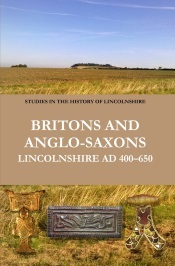 Whilst this might appear surprising, such a situation would actually appear to have a reasonable context at both national and local levels, and the find itself adds yet more weight to the case for there having been a degree of long-distance maritime contact between the Mediterranean and Britain in the first millennium BC. Furthermore, this find and that of another, probably slightly later, lead anchor stock in Plymouth Sound means that there are now three early Mediterranean lead anchor stocks known from British coastal waters, something which is important in itself, not least because it means that the Porth Felen anchor stock discovered in the 1970s can no longer be dismissed as a one-off find. 1 SHIPS Project/ProMare, 'Wooden Anchor Stock Core (09A15)', Shipwrecks and History in Plymouth Sound Project, finds database, accessed 15 August 2015, online at http://www.promare.co.uk/ships/Finds/Fd_09A15AnchorStock.html. 2 K. Trethewey, 'Lead anchor-stock cores from Tektaş Burnu, Turkey', International Journal of Nautical Archaeology, 30 (2001), 109–14; D. D. Haldane, The Wooden Anchor (Texas A & M University MA Thesis, 1984), esp. pp. 6–7; A. Trakadas & E. Erbati, 'Lead anchor elements from Tangier, Morocco', Bulletin D'Archeologie Marocaine, 21 (2009), 250–67 at p. 254. 3 G. Wear, 'The anchor stock core from Fort Bovisand', 2014 conference poster, online at https://www.academia.edu/9453256/The_Anchor_Stock_Core_from_Fort_Bovisand. 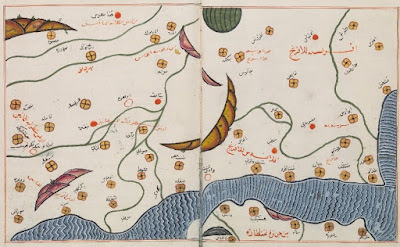 4 Trakadas & Erbati, 'Lead anchor elements from Tangier, Morocco', pp. 253–4, 256; A. Trakadas, 'Morocco Maritime Survey: the 2002 season', The INA Quarterly, 30 (2003), 12–21, esp. pp. 18–20 on the radiocarbon-dated Type IIa anchor. See also A. Trakadas & S. Claesson, 'On the shores of the Maghreb-al-Asqa: the 1999 survey of Tangier Bay, Morocco', The INA Quarterly, 28 (2001), 3–15; A. Trakadas, 'Morocco Maritime Survey: 2003 season', The INA Quarterly, 31 (2004), 3–9, especially pp. 8–9; and E. Erbati & A. Trakadas, The Morocco Maritime Survey (Oxford, 2008), for example p. 63. A fifth-century date for the Cap Spartel anchor core is based on a combination of the general chronology of Type IIa anchors, that is fifth to mid-second century BC, and the fact that the core still had some of its original wooden stock attached which has been radiocarbon dated to 785–400 cal BC. 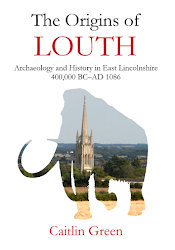 5 The numismatic, textual and linguistic evidence relating to possible Punic/Carthaginian activity in pre-Roman Britain is summarised and discussed in C. R. Green, 'Thanet, Tanit and the Phoenicians: place-names, archaeology and pre-Roman trading settlements in eastern Kent? ', 21 April 2015, blog post, online at http://www.caitlingreen.org/2015/04/thanet-tanit-and-the-phoenicians.html. On the linguistic evidence, see further, for example, R. Coates, 'A Glimpse through a Dirty Window into an Unlit House: Names of Some North-West European Islands', in W. Ahrens et al (edd. ), Names in Multi-Lingual, Multi-Cultural and Multi-Ethnic Contact: Proceedings of the 23rd International Congress of Onomastic Sciences, August 17-22, 2008 (Toronto, 2009), pp. 228–42, and G. Broderick, 'Some island names in the former "Kingdom of the Isles": a reappraisal', Journal of Scottish Name Studies, 7 (2013), 1–28. On the textual evidence, including the possible expedition of a Carthaginian explorer named Himilco to Britain sometime just after 500 BC or thereabouts and references to the Kassiterides, the 'Tin Islands', see for example, D. W. Roller, Through the Pillars of Herakles: Greco-Roman Exploration of the Atlantic (London, 2006), pp. 12–14, 27–9; D. W. Roller, 'Himilco the Navigator', in E. K. Akyeampong & H. L. Gates Jnr. (edd. ), Dictionary of African Biography, 6 vols. (Oxford, 2012), III.70; and B. Cunliffe, Britain Begins (Oxford, 2013), pp. 319–20. 6 J. I. McKinley et al, 'Dead-sea connections: a Bronze Age and Iron Age ritual site on the Isle of Thanet', in J. T. Koch & B. Cunliffe (eds. ), Celtic from the West 2. Rethinking the Bronze Age and the Arrival of Indo-European in Atlantic Europe (Oxford, 2013), pp. 157–83, esp. pp. 166–8, and now J. I. McKinley et al, Cliffs End Farm, Isle of Thanet, Kent. A Mortuary and Ritual Site of the Bronze Age, Iron Age and Anglo-Saxon Period with Evidence for Long-Distance Maritime Mobility (Salisbury, 2014). Consultation of maps depicting water oxygen isotope composition across the Mediterranean basin, northern Africa and western Europe reinforces McKinley et al's suggestion that the 'southern' immigrants in the Thanet cemetery probably come from North Africa rather than southernmost Iberia; whilst a southern Iberian origin might possibly work for some of the samples analysed from this cemetery, others strongly indicate that the person involved spent at least part of their early life in northern Africa, not Iberia. See further J. A. Evans et al, 'A summary of strontium and oxygen isotope variation in archaeological human tooth enamel excavated from Britain', Journal of Analytical Atomic Spectrometry, 5 (2012), 754–64 at fig 12; G. J. Bowen & J. Revenaugh, 'Interpolating the isotopic composition of modern meteoric precipitation', Water Resources Research, 39 (2003), fig. 8; L.J. Araguas-Araguas & M.F. Diaz Teijeiro, 'Isotope composition of precipitation and water vapour in the Iberian Peninsula', in IAEA, Isotopic composition of precipitation in the Mediterranean Basin in relation to air circulation patterns and climate (Vienna, 2005), pp. 173–90 at fig. 3; and S. Terzer et al, 'Global isoscapes for δ18O and δ2H in precipitation: improved prediction using regionalized climatic regression models', Hydrology and Earth System Sciences, 17 (2013), 1–16. 7 M. Markey, E. Wilkes & T. Darvill, 'Poole Harbour: an Iron Age port', Current Archaeology, 181 (2002), 7–11. See also Historic England's Pastscape Database, Monument No. 457510 ('Poole Iron Age Port'); E. Wilkes, Iron Age Maritime Nodes on the English Channel Coast: An Investigation into the Location, Nature and Context of Early Ports and Harbours, 2 vols. (Bournemouth University PhD Thesis, 2004), I.169–215, II.316–17, 321–7, with the radiocarbon results reported at p. 326; and E. Wilkes, 'Prehistoric sea journeys and port approaches: the south coast and Poole Harbour', in V. Cummings & R. Johnston (eds. 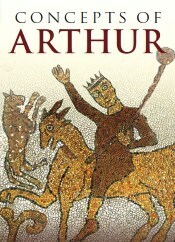 ), Prehistoric Journeys (Oxford, 2007), pp. 121–30, particularly p. 128. On the Siculo-Punic coin of the fourth century BC from Poole Harbour, see E. S. G. Robinson, 'Greek coins', British Museum Quarterly, 11.1 (1936), 29–31 at p. 30; RCHME, 'Other Roman Monuments', in An Inventory of the Historical Monuments in Dorset, Volume 2, South East (London, 1970), pp. 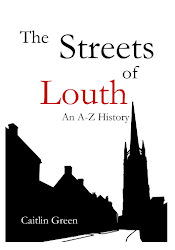 592–621, online at http://www.british-history.ac.uk/rchme/dorset/vol2/pp592-621; J. G. Milne, Finds of Greek Coins in the British Isles (Oxford, 1948). 8 On the Porth Felen anchor stock and its date, see G. C. Boon, 'A Greco-Roman Anchor-Stock from North Wales', Antiquaries Journal, 57 (1977), 10–30; G. C. Boon, 'The Porth Felen anchor-stock', International Journal of Nautical Archaeology, 6 (1977), 239–42. Note, images of the recently-discovered Punic anchorage at Cala Levante, Pantelleria, Sicily, indicate that Type IIIb anchors were being used by at least some Punic/Carthaginian ships in the Mediterranean in the mid-third century BC, thus extending the chronology of this type back half a century further than it is assigned in Haldane, The Wooden Anchor, pp. 7–8, 13: see L. Abelli et al, 'The Roman conquest of Pantelleria through recent underwater archaeological investigations', in C. Dagneau & K. Gauvin (eds. ), ACUA Underwater Archaeology Proceedings 2014 (ACUA, 2014), 345–55 at p. 347. The Type IIIb lead anchor stock from Plymouth Sound is recorded as SHIPS Project/ProMare, 'Lead Anchor Stock (10A05)', Shipwrecks and History in Plymouth Sound Project, finds database, accessed 15 August 2015, online at http://www.promare.co.uk/ships/Finds/Fd_10A05Anchor.html. 9 On the 'Tamar Estuary Iron Age coastal node' and Mount Batten, see Wilkes, Iron Age Maritime Nodes on the English Channel Coast, I.139–42, II.466–7; A. Firth et al, Tamar Estuaries Historic Environment: A Review of Marine and Coastal Archaeology (Plymouth, 1998); B. Cunliffe, Mount Batten, Plymouth: a Prehistoric and Roman Port (Oxford, 1988). Rame Head Iron Age promontory fort is Cornwall & Scilly Historic Environment Record PRN 6000; on the name 'Rame', see O. J. Padel, Dictionary of Cornish Place-Names (Penzance, 1988), p. 147; Coates, 'Names of Some North-West European Islands', 237; and Green, 'Thanet, Tanit and the Phoenicians'.